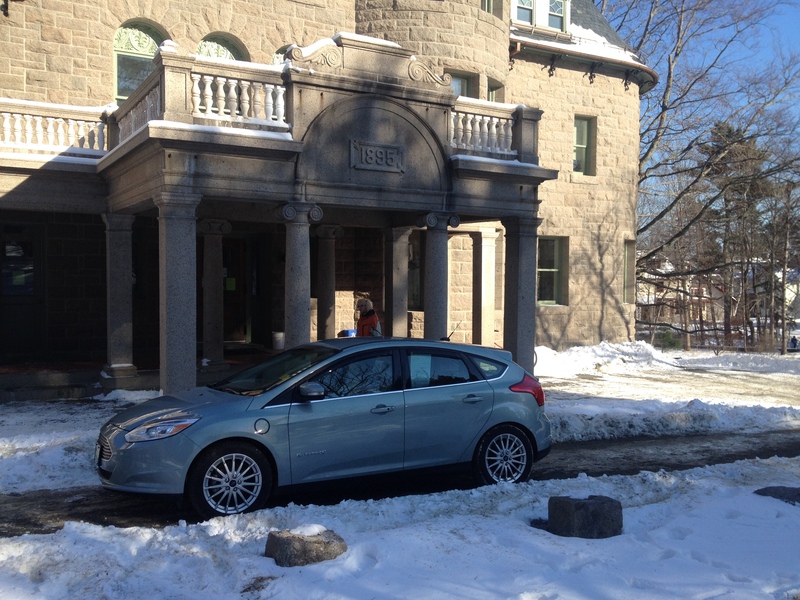 I borrowed the College’s Ford Fusion, an all-electric vehicle that’s been generously leased to COA in return for good will and good PR. I am predisposed to despise this vehicle. I love old, large, trucks – specifically Toyota Land Cruisers – and this pale blue shiny box I’m now driving is the antithesis of that ideal. 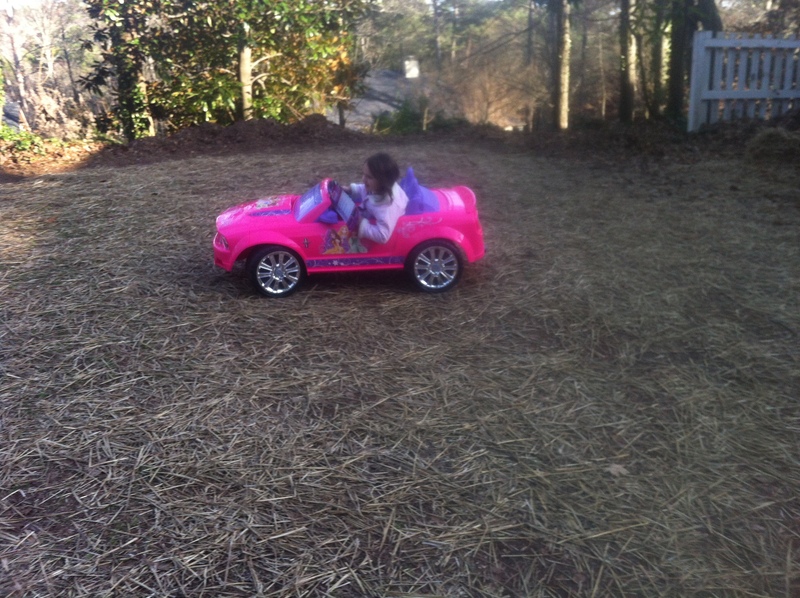 My image of an electric vehicle: That’s my niece in hers. My love for old Land Cruisers stems from the aesthetics of the LC design and the practicality the vehicle offers for lugging gear over all kinds of roads and in all kinds of conditions. But, most importantly, my love for the vehicle – my particular vehicle – comes from my fascination with tinkering. 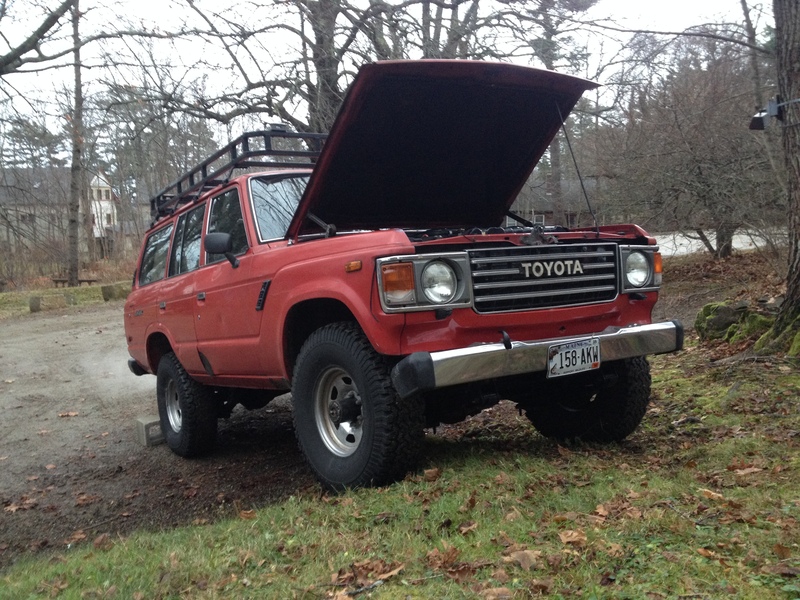 A 1985 Land Cruiser requires serious tinkering and I’m not afraid to admit that my mechanical, electrical, and body work skills are sad and are the reason I’m forced to borrow this Ford in the first place. That’s Scarlett: I’m trying to ‘burp’ her to get the heat working better. Even on a good day when my tinkering works, my truck (Scarlett) is not a comfortable, efficient vehicle: it (she) takes a fair amount of pedal-pumping to wake up in the morning; she’s porous, which means I have to scrape the outside and the inside of the windows on a cold morning; she burns loads of gas and leaks loads of oil; she’s difficult to climb into for anyone under 5’6”; she’s a bit stinky. But for me, those issues are a palette of tinkering prospects and I revel in the complexities of my relationship with the truck and her relationship with the wider world. That’s the Ford — a tremendous car. I will admit, you could get very used to the ease, comforts, and efficiencies of our new Ford. Doors close with a thwap that perfectly separates interior from exterior space. Stopped and in motion, there’s an eerie, beautiful silence. Digital displays, parking cameras, ear-splitting woofers (ok, that’s a bit of an exaggeration), and an on button (what!!??) make driving the Ford an extremely comfortable experience. My kids, having suffered through many long drives in Scarlett, screamed with delight as we quietly and gently sailed down Cottage Street. With a forty-mile range between plug-ins, this Ford is arguably the perfect vehicle for MDI. With almost 400 parts per million of CO2 in the atmosphere, this Ford is arguably the perfect vehicle for the planet. So, I loved the driving experience and, for the record, believe Ford Motor Company has done a superb job with this vehicle. But despite the massive PR risks of a COA president driving a gas guzzling truck (that’s probably a bit of an exaggeration as well), you won’t find me trading Scarlett in for a Ford Focus – or a Nissan Leaf or a Toyota Prius. Not gonna happen. I will continue to tinker. I will continue to love and drive my truck and develop the ecological arguments around the “reuse” and “reduce” elements of the triple R model. Part of the “reduce” argument and out of sheer necessity while I try and figure out how to replace the slave and master clutch cylinders? : walking, beautiful, slow, contemplative walking.